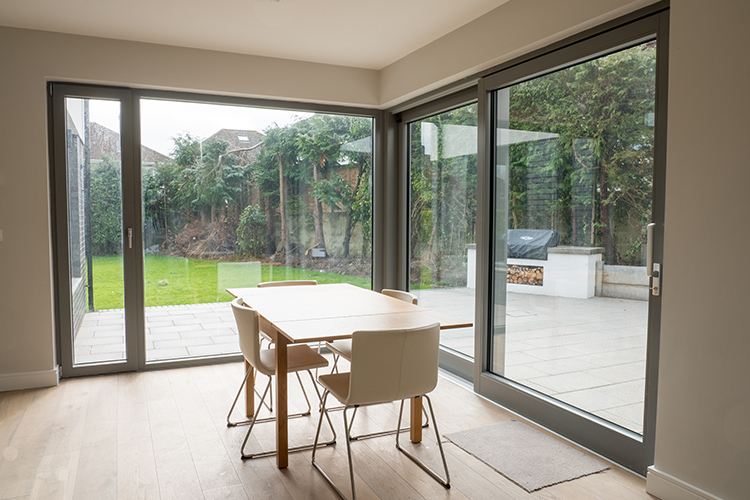 Lift & Slide doors are more than just a glass door - they're an architectural design piece. Signature Windows & Doors can help you choose the right features for your door according to your home and lifestyle. Sliding doors are very popular and contemporary. They can consist of 2, 3 or 4 individual panels of which at least one slides back and forth. A great advantage of these doors is that the opening can be dramatically wide in comparison with standard doors. The panels of the lift & slide doors don’t interfere with furniture or walking areas, since they run parallel to the wall. What makes those stunning doors even more different is their lifting system. When completely rotated through 180 degrees, it lifts the entire door up off its seals and glides along very easily. 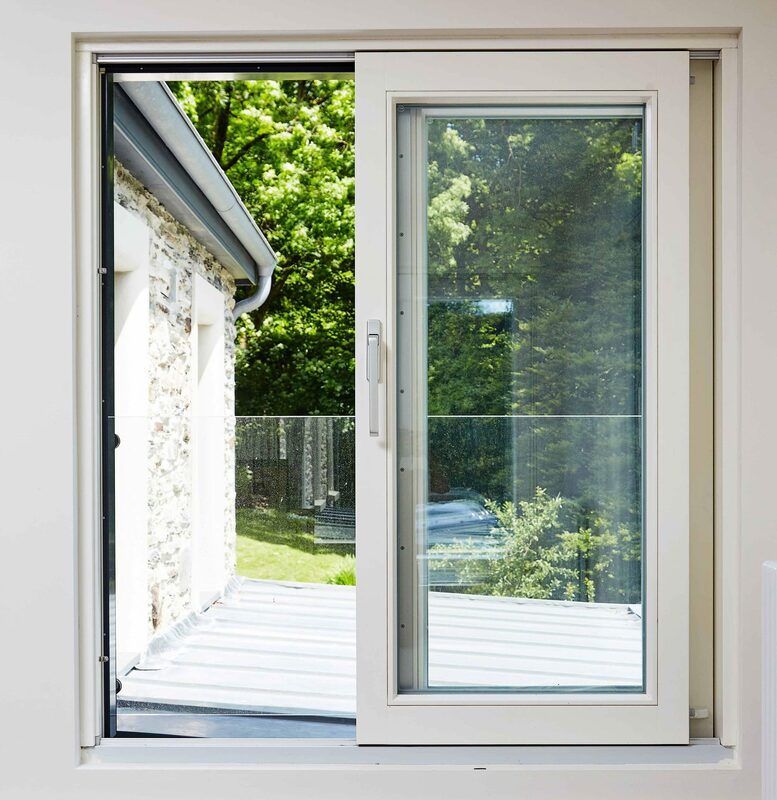 When rotated to the closed position, the door drops back down onto its seals creating an airtight bond and protecting your home from the elements outside. It’s very important to consider energy efficient windows and doors. 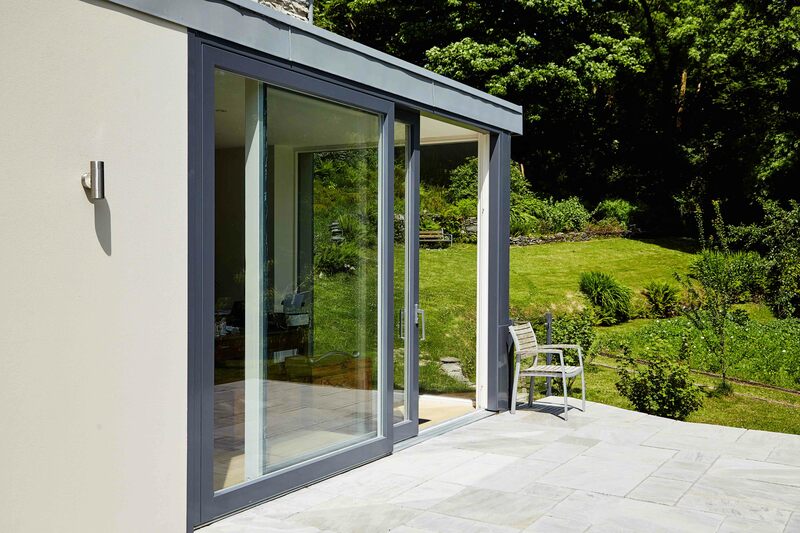 In the Irish weather, the right lift & slide doors will truly pay for themselves in reduced heating costs. Double or triple glazed with low U-values help to keep your home cooler in the summer and warmer in the winter. With Signature Lift & Slide doors, you can enjoy the beauty of finely crafted wood on the interior and maintenance free aluminium cladding on the exterior which comes in any colour you choose. With its keyed or thumb latched 3 point locking system it is designed for ease of use and burglar proof against break-in. Signature Lift & Slide Door is the perfect solution to free up more floor space and connect the garden with the interior of the house. Contact us or visit our local showrooms to see the Signature Lift & Slide Door that will change your patio!